My first blog post went up exactly one year ago and this post is scheduled to be posted at the same time as that very first one, Everyday Beauty. It wasn’t long before I got my first follower, WildSherkin from just down the road. The time has flown by and it has been great. I’ve loved the journey and the interaction along the way. By now the blog has attracted over 46,000 views and has broken through the 900 followers mark – the latest being Eeva-Maria from Finland. And for everyone in between, many heartfelt thanks, this has been a great journey that isn’t quite set to wrap up. So what do you, the viewer wish to see more of (tick as many as you wish) ? 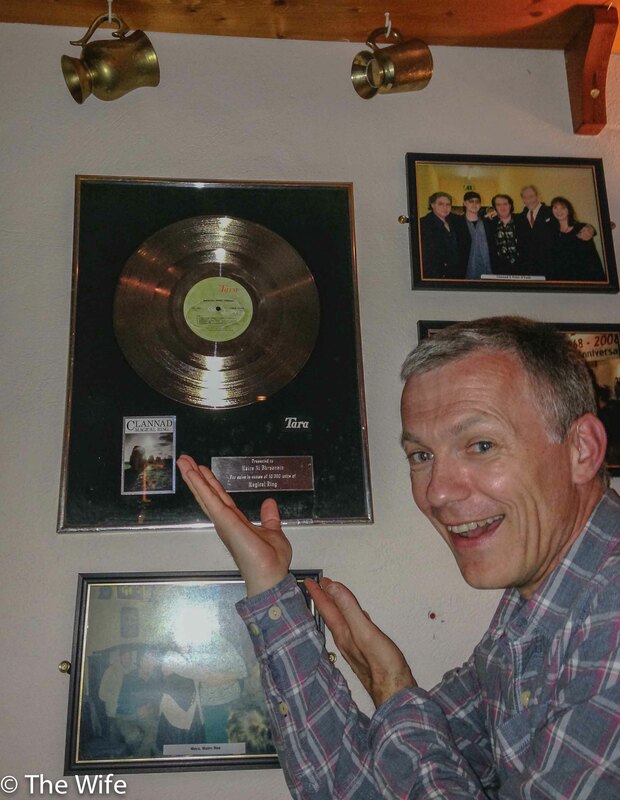 As I have been pretty slow in putting up posts from Donegal, here is an image of me in the pub of the Brennan family, best known for Clannad and Enya. The picture credit for this has to go to The Wife. Wooohooo Congrats MM!! Very inspiring how much your blog has grown in one short year, by the amount of participation here, I assumed you had been doing this for a few years!! And for the record I voted for “Whatever you want or get inspired by” – I, like many, definitely trust your eye and would love to see more of the things that catch your interest. Keep it up and here’s to many more!!! Happy Anniversary, MM! I voted with the others on “whatever you want or get inspired by”. I’m captivated by the bouquet of subjects you share with us. Always beautiful work! MM, what I took away from the meeting is this: I better sell a lot of portraits before I can “retire”. Haha! Congratulations and Happy 1st Anniversary/Birthday,John. I am so glad to have met you and follow your photogaphic journeys.Best of luck also in your new ventures ! Thank you, thank you, thank you. Too kind….. Thanks a lot for making my reader so colorful with your beautiful blog posts. Hope to see many more incredible images here. Happy Anniversary! Thank you for your encouraging comments and following my blog almost a year ago and that in turn inspired me to check out yours and I am so glad I did! I love your pictures and posts especially about your part of the world. Thank you, it flew by…. Happy Blogiversary! Continued success. I like what you’re doing just fine. Cheers! Happy Birthday and keep up the great work!!! Love your images and words! Happy 1st Blogoversary. What a great first year you have had. Happy One Year – we all celebrate that another will follow. Be well and thank you for all the beauty. So, we finally see you. Congrats on the landmark! Happy Anniversary MM, congrats and wishing you the best for the upcoming year. Happy Anniversary! You’ve given us so many images/words to enjoy so far and I hope you will continue to do so for many more!